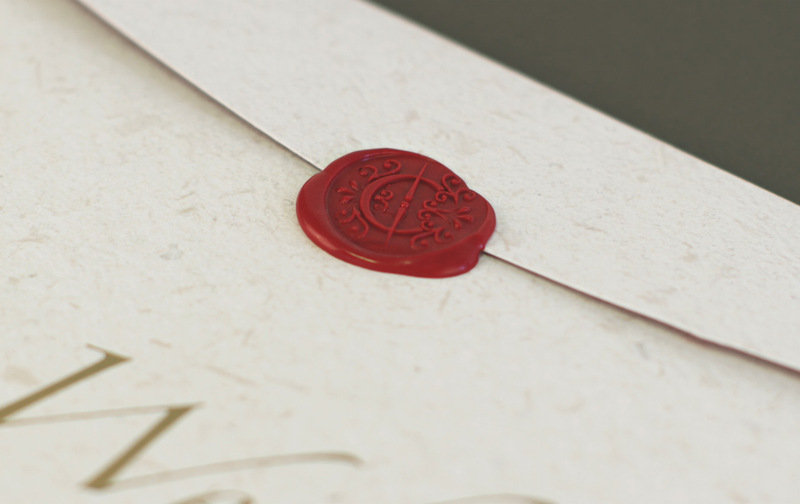 We came up with the idea of an information pack, embellished with beautiful photography, and cleverly disguised as a traditional ‘high society’ wedding invitation, complete with wax seal. 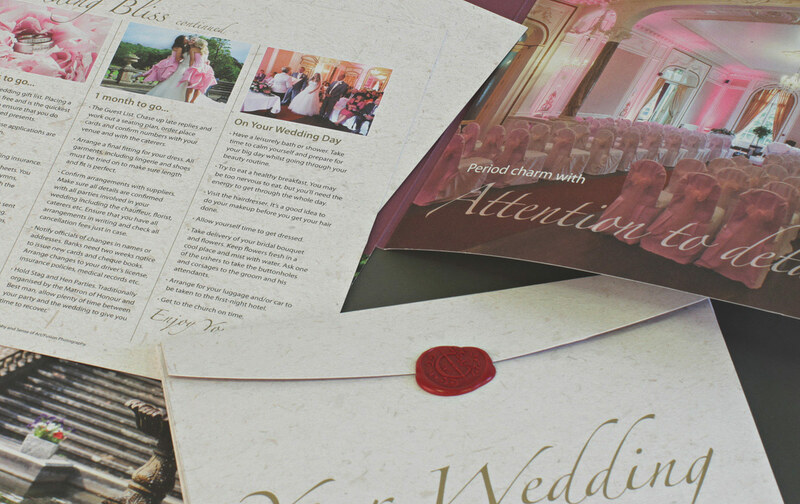 Careful consideration was given to the final look and feel of the pack, and great care was taken in selecting the right board and paper. 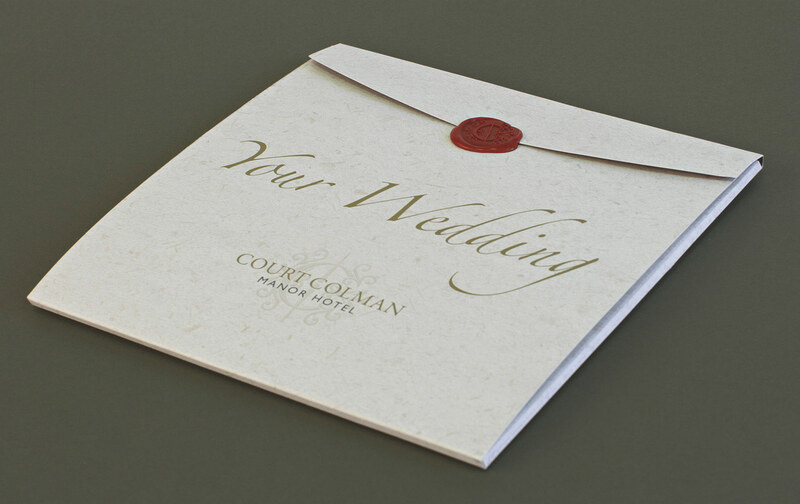 We required a printed product that was beautiful to hold and which reflected the grandeur and ambience of the Court Colman Manor. 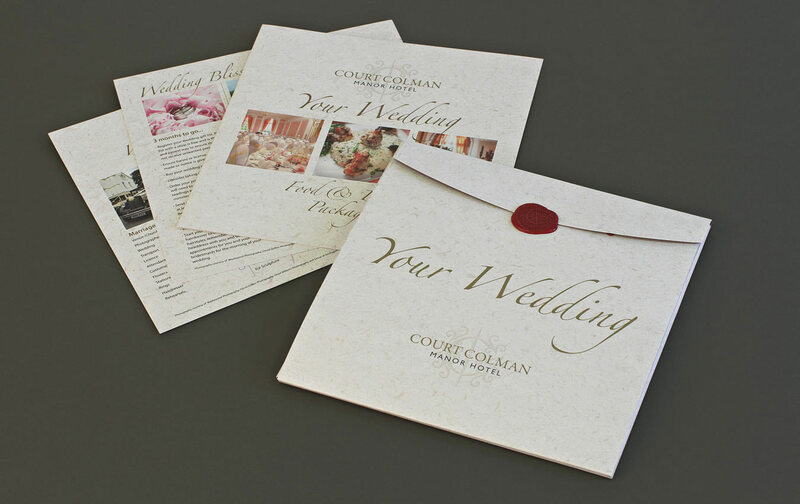 The end result is a wedding pack that is both unique and memorable. 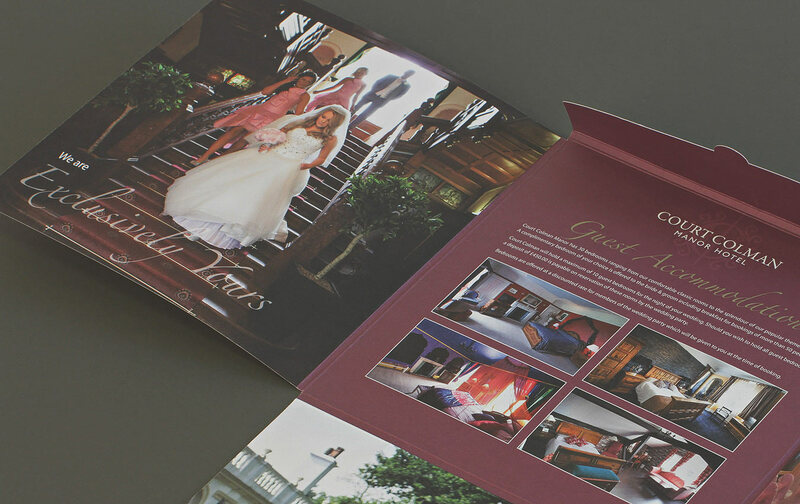 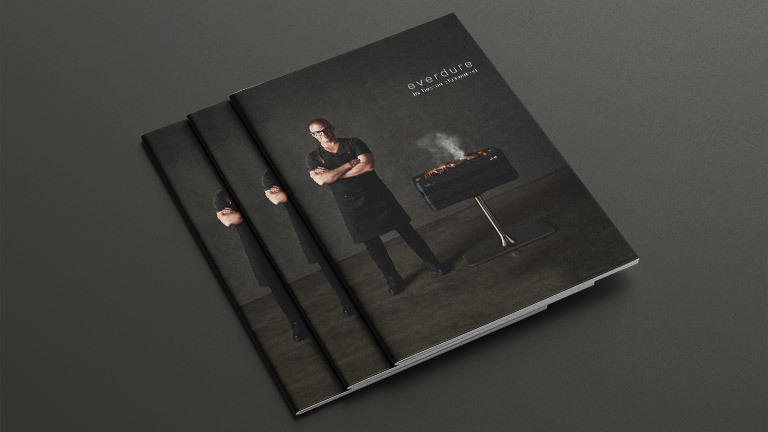 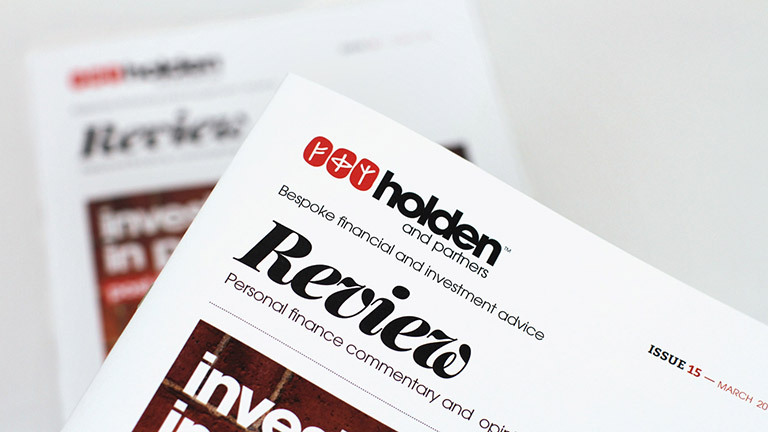 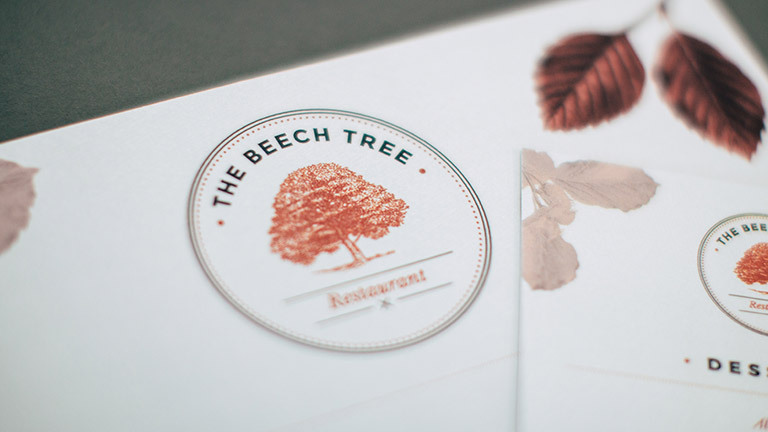 "We conceived the idea for a pack of information, embellished with beautiful photography…"